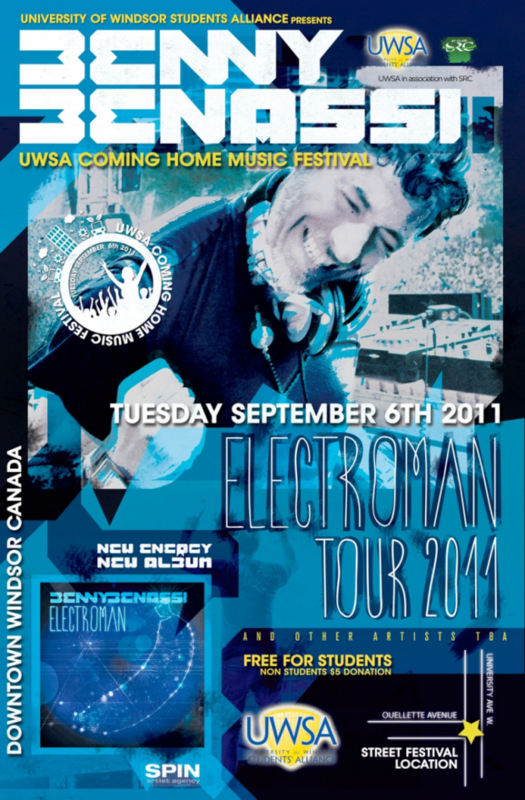 Transit Windsor will be providing free shuttle service to the UWSA Coming Home Festival tonight. Pick up will be in the Vanier Hall Circle on Wyandotte West to the Riverfront Festival Plaza starting at 3:30 pm. Buses to bring you back will start at 11:00 pm. The festival is presented by the University of Windsor Students’ Alliance along with the Student Representative Council of St. Clair College. The fun kicks off at 4:00 and will feature performances by DJs Benny Benassi and Richie Hawtins. Admission is free to all UWindsor and St. Clair students with valid student ID.